And if all of the above connects us to our history and to our faith, a walk in the Greek countryside from September onwards, may perhaps give us the most important messages and bring together the values of our people unchanged. Cooperation, extroversion, distribution, re-birth… When it comes to harvesting, there is no age exclusion. All the members of the family are useful. Seniors and children alike carry out the easier chores, whereas the younger men of the family carry the heavy baskets with grapes; the meaning of participation and cooperation in its real dimension. Those families of fewer members, who own vineyards, receive help from relatives and friends during the harvest. It is the same image we meet somewhere in the middle of late October, depending on the region and the variety, during the olive harvest. 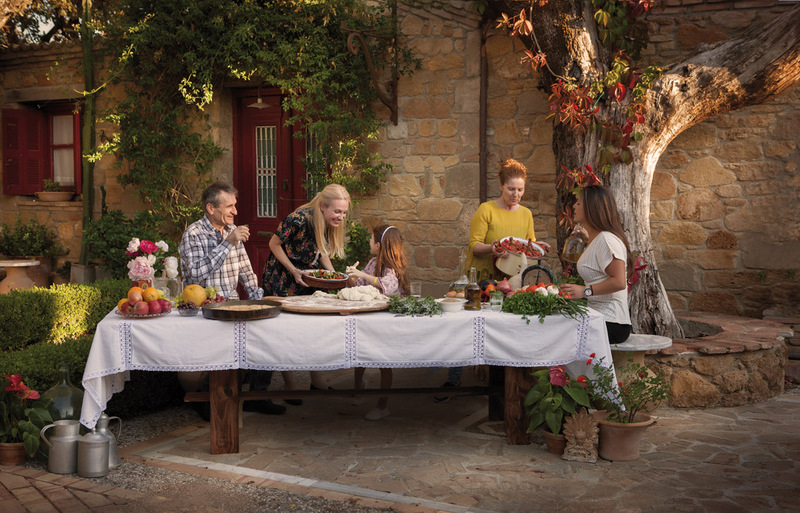 For Greek hotels based on seasonality, the olive gathering is the informal rendezvous given by hoteliers and employees after the end of the season, on the Greek land, to collect what will be a part of their living. This daily task calls for a daily celebration. Whether the traditional way of harvesting is followed or whether new machines are in place and being used, one thing is for sure: around noon, everyone will be sitting under the shadow of an olive tree to enjoy moments of joy, with a piece of bread, some olives and a glass of wine and exchanging stories that will keep their spirits up. Greece, don’t ever change!